Each game has its own reality, and establishing what happens in the world around the player is a critical part of establishing that reality. Some aspects of a game’s world are impossible to convey through sight alone. Sound effects make all the difference in how immersive the world is to the player. As a sound designer, you’ll create sound effects that enrich the world around the player and draw them deeper into the game. Good sound effects create an exhilarating, realistic setting in a modern 5.1-channel surround sound environment. Each effect itself is a single sound, but they all come together to bring a game to life. When a sound stands out among the others, it can have a major impact on the sonic quality of the game, whether good or bad; creating truly immersive, wonderful sounds requires great care. At PlatinumGames, we pride ourselves on a working environment where any member of our staff can offer ideas and suggestions for the creative process, and our audio team is no exception. Our sound designers create their sounds based on the game director’s specifications, but each member has the freedom to base their work on sounds they feel are best. With this creative flexibility comes deeper responsibility. A sound designer’s work is challenging, but also fulfilling and exciting for those who want to make interesting things, containing any sound they can imagine. 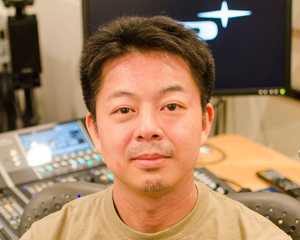 Before I came to PlatinumGames, I’d worked at a sound effects firm, and done freelance sound work for games. I’ve always worked in sound design, eventually I found myself wanting to work more directly on sounds for video games. I applied to Platinum because I felt their ideas and policies for sound creation were most in-line with my own. In my previous experience before coming to Platinum, the sound designers I knew typically worked on several different games at the same time. That’s not how we do things at PlatinumGames. Here, by focusing on one project at a time, I’m able to work at a level of detail I’d never been able to attain before, and make sure the sounds I create meet my own standards. We have an in-house studio, so we can record voiceovers and sound effects and go straight to mixing and editing them right away. We also have a variety of devices to use for field recording; everything a sound designer could ask for. When sound effects that I’ve created help a game stand out, and when I’ve succeeded in making sounds that make a game that much more of an immersive experience. The environment can get pretty aggressive, and any specifications might be overturned and reworked at a moment’s notice in the face of new ideas. It’s awesome that PlatinumGames is willing to make even sudden, radical changes for the good of the game. Sound design can be a constant battle against time, as new hurdles often arise towards the end of the production process. It’s pretty difficult work! But PlatinumGames gives you the environment you need to focus on putting together something really special, and offers plenty of new challenges and experiences. This is the job for you if you want to create new sounds to make great games even greater. Game industry experience is preferred, but not required.